Manchester United is one of the biggest football clubs in the world. With a memorable history and almost all major trophies to their name, the club has millions of fans everywhere around the globe. One diehard Manchester United fan among millions is 41-year-old Chris Scott who has done something unique to show his love for the club. 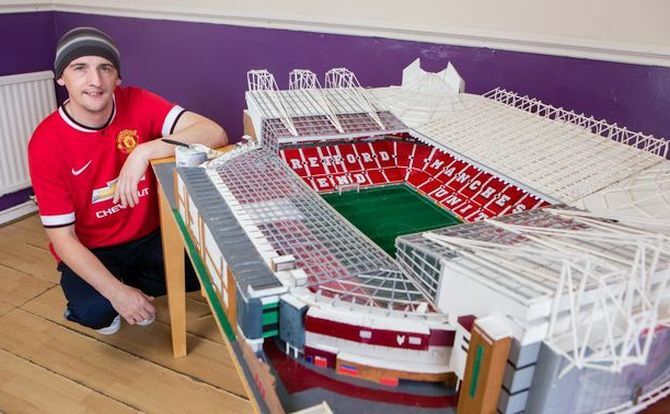 Gardener by profession, the red devils fan has built a replica of Old Trafford stadium out of matchsticks. If playing Foosball is your favorite pass time, then things are about to get more interesting here. Time to say goodbye to old fashioned Football tables as Quantum Play is bringing a brand new designer Blacklight Football Table from Le Toulet known as the “BlackBall”. Supporting a modern and curved design, the table features a polished aluminum top, neat ABS reinforced frame, a centralized ball-return system and telescopic steel rods with chrome aluminum handles with silicon grips. How about a custom motorcycle that is specifically designed and inspired by a scissor kick goal? Surely sounds cool and this is what Wayne Rooney, the famous England International and Manchester united striker and Lauge Jensen, a motorcycle manufacturer from Denmark has come up with. The majestic goal is not other than which he scored against Manchester city in last season and which is termed as one of his career’s best goal. Wayne Rooney said, “The bike we have designed is inspired by my last season’s scissor kick goal against Manchester City. The goal has been described as of high quality, technically outstanding, powerful and beautiful. I hope people will agree with me when I say that the motorcycle has all these qualities and more “. English Premier League giants Manchester United has been voted the most popular football club in the world in a recent carried out survey in spite of not winning a single title this season. 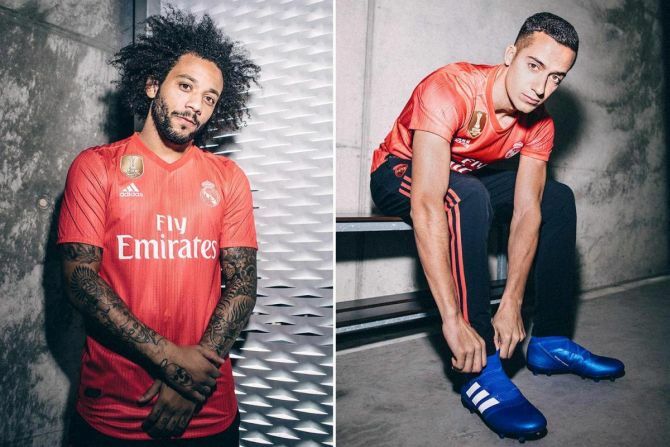 But that has not reduced their popularity as they crossed 659 million people across the world and the red devils have also signed a sponsorship deal with General Motors’s Chevrolet replacing the German brand Audi.